NEW COVERS! And a Giveaway! Today is the day! I finally get to share the new covers Damon at damonza.com designed for Darkride and Crossfire! Many thanks to him for his hard work on these (and I can't wait to show you the work he has done on the Kissing Midnight cover when it comes out this fall!) And thanks to Jaidis Shaw at Juniper Grove Book Solutions for organizing the reveal! Check these out, then hop over to Juniper Grove to enter the giveaway! Cicely say the Crossfire cover is her glamour shot. I love the blue hair as much as she does! 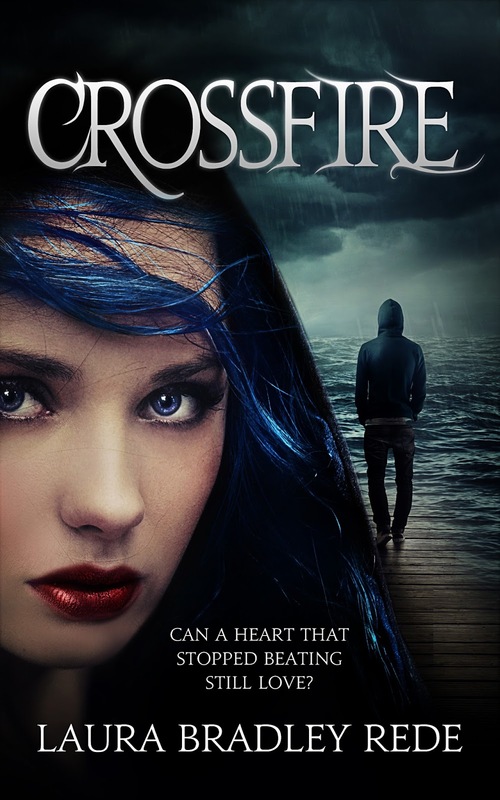 Next Friday, July 12th, both Darkride and Crossfire will be getting new covers designed by the very gifted Damon at damonza.com. I couldn't be more excited! I've wanted to work with Damon ever since I first saw the cover he designed for my friend Jessica Park's awesome book, Flat Out Love. 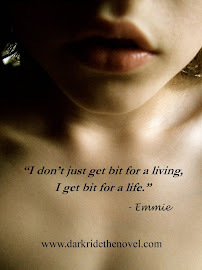 Since then, I've fallen in love with the work he has done for Jamie McGuire, Nicole Williams, Angie Stanton and a bunch of other writers I love. I'm so happy with what he has done for the Darkride Chronicles covers, keeping the feel of the originals but taking them a step further. 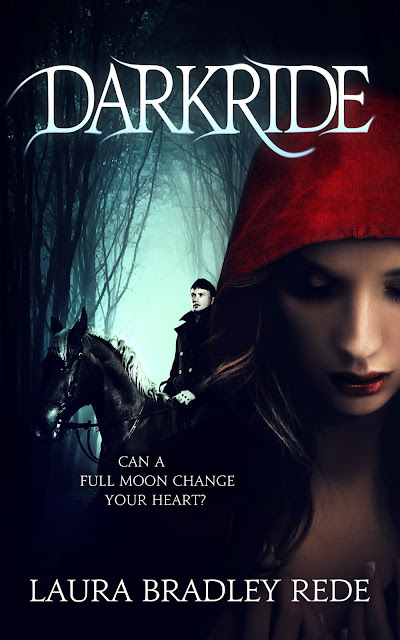 The big double cover reveal is being organized by Juniper Grove Book Solutions and I'm thrilled to say that we have over twenty blogs on board, and we'll be doing a giveaway, too! I'm counting the days until I can share! In the mean time, check out some of the other stunning covers Damon has designed and I know you'll understand why I'm so psyched! Welcome! 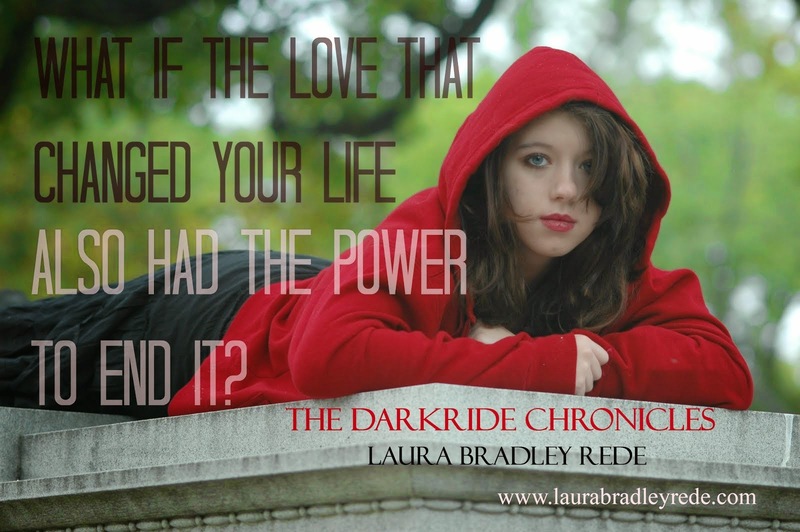 I'm Laura Bradley Rede, author of YA paranormal romances like The Darkride Chronicles (Darkride and its sequel, Crossfire) and Kissing Midnight. 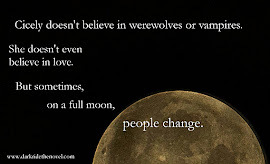 Take a look around the Darkride world, download some free short stories, or read an excerpt or two. Then leave me a comment. I'd love to hear what you think! 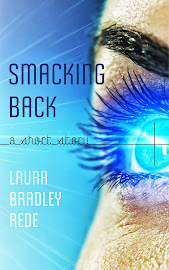 Download my YA sci-fi short story Smacking Back for free! Just click on the picture above for the Smashwords link! 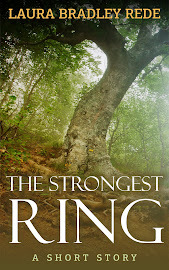 Download my YA paranormal short story The Strongest Ring for free! 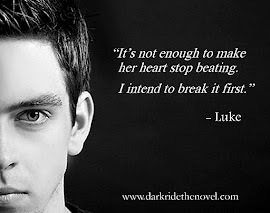 Just click the picture above for the Smashwords link! Comments are welcome! Or feel free to email me at laurarede@hotmail.com. I would love to hear from you!